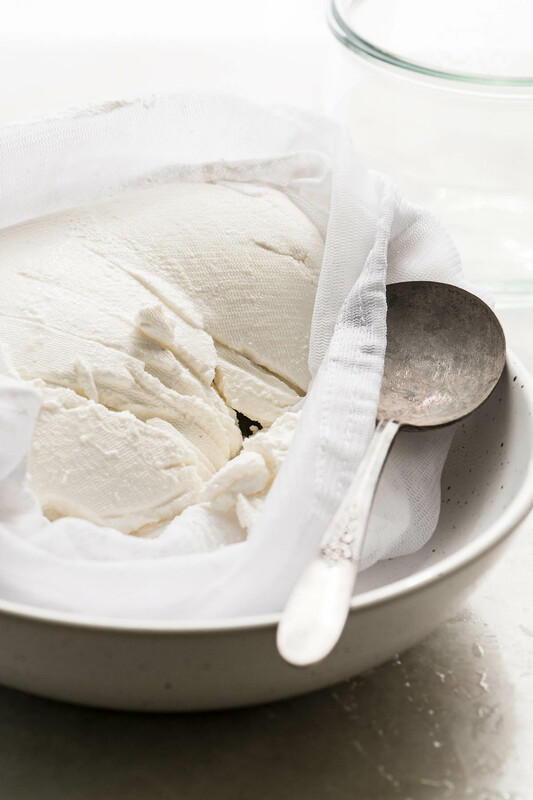 How to Make Labneh (Yogurt Cheese) ~ this exciting recipe is a method for making cheese from yogurt! 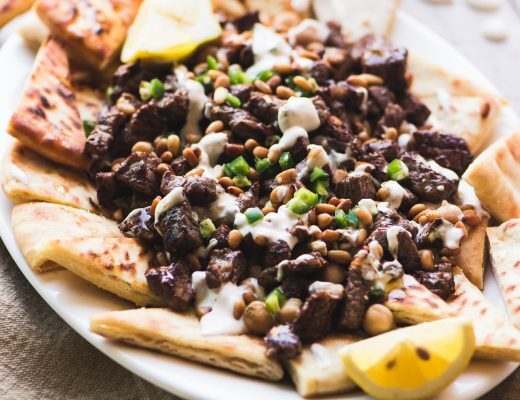 It’s a Middle Eastern staple and it’s incredibly rich and creamy. 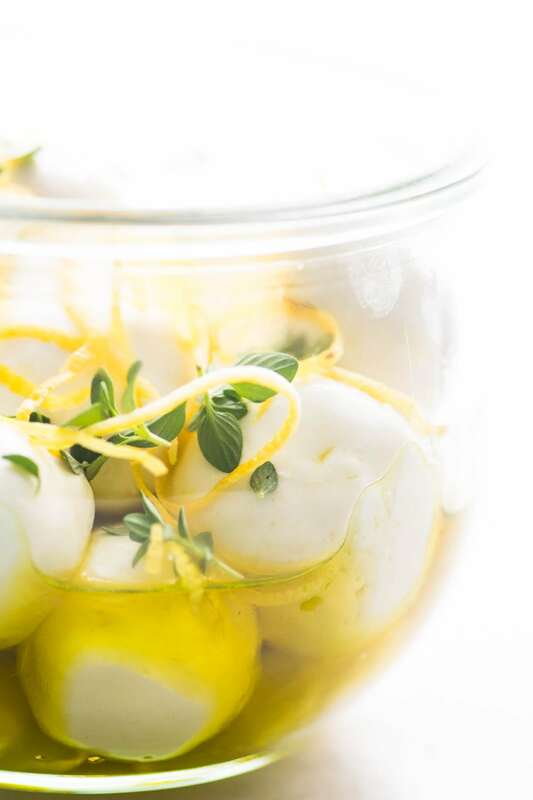 I love to roll it into balls, and store it in olive oil with aromatics like lemon and herbs ~ it’s an exotic yet super easy and healthy Mediterranean appetizer or snack. If you’ve never made cheese before, this is where you start! 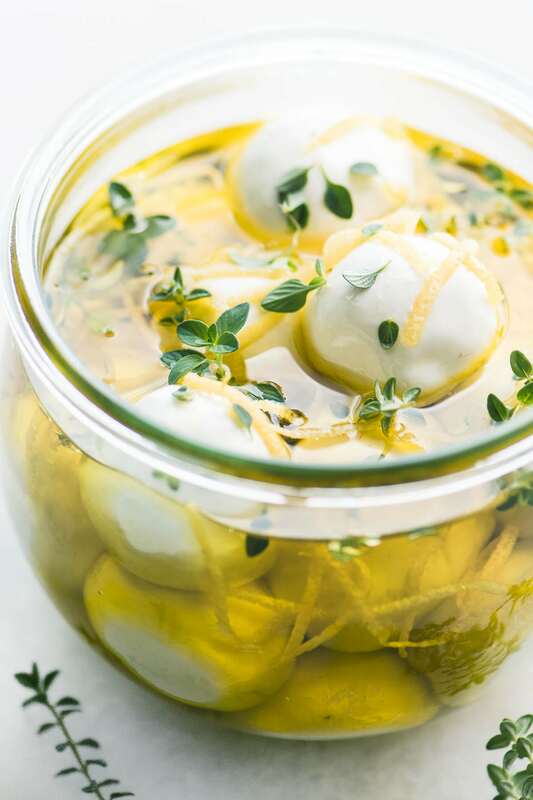 Note ~ this is part one of a two part series…don’t miss Monday’s post for how to turn your labneh cheese into one of the coolest, most beautiful (and delicious) appetizers I’ve ever made!! Meet my new obsession, labneh. 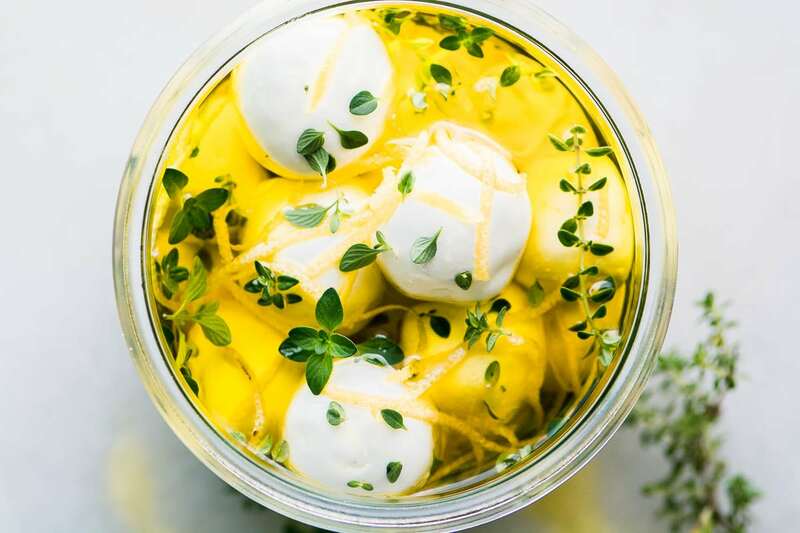 Labneh is an uber simple Middle Eastern fresh cheese, you’re going to be blown away by how easy it is to make. All you do to make this deliciously creamy spread is to drain plain yogurt. That’s it. You press out the excess liquid (whey) from the yogurt and you’re left with…cheese! 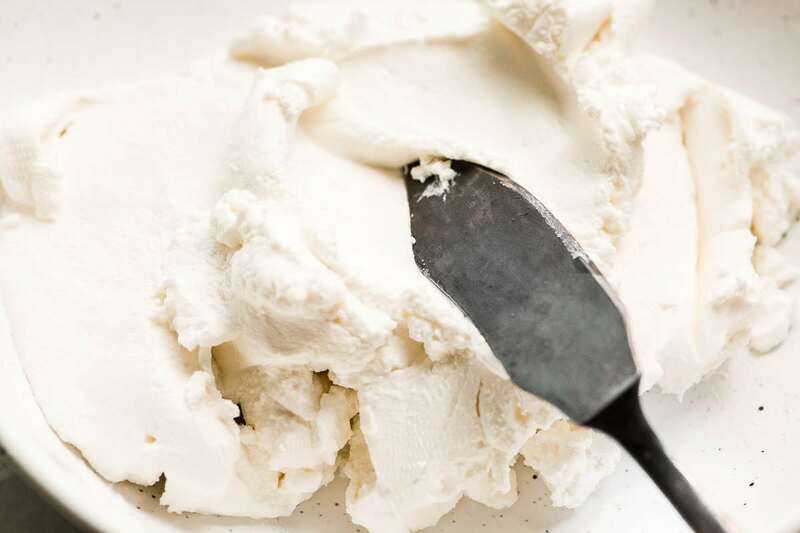 It’s downright magical how this process transforms plain yogurt into a silky cheese. I can’t wait to show you exactly how to do it. I’ll also show you how to roll the cheese into small balls that you can preserve in olive oil for appetizers, snacks, salads, etc. Let’s get going! Set a mesh strainer over a large bowl. You want several inches of space between the bottom of the bowl and the bottom of the strainer. Line the strainer with a fine mesh nylon straining bag (or 2 layers of cheesecloth.) I love to use nylon straining bags instead of cheesecloth because they last forever and are so much easier to clean than cheesecloth. Just rinse and throw in the regular wash. They can be used over and over again. Spoon a 24 ounce tub of plain yogurt into the lined strainer. I like to use whole milk yogurt, without any flavors or additives. Sprinkle with a dash of salt. Bring the bag up and twist it tightly around the yogurt (you can use a clip if you like.) Place a small plate on top, and then weigh it down with something heavy like a can or a brick. Set this in the fridge for 24 hours. Make sure the yogurt is sitting above the drained liquid. The longer you let it drain, the thicker the cheese will become. It can go up to 48 hours, but mine was fine in 24. When it’s done the labneh will be thick and spreadable like a soft cream cheese. When you taste it you’ll see that your homemade labneh has the super silky mouthfeel of a soft goat cheese. You can spread it on toast for breakfast, serve it as part of an appetizer or mezze platter, or top a wonderful salad with it. As for flavor, I think it’s more subtle than goat cheese, and more tangy and interesting than cream cheese, it’s the perfect hybrid! Once you’ve removed your cheese from the mesh bag or cheesecloth, give it a nice stir to remove the cloth markings and make it extra creamy. 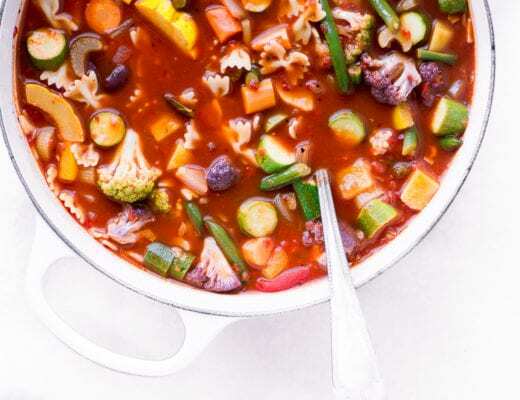 Now you’re ready to store it in the refrigerator, up to a week. 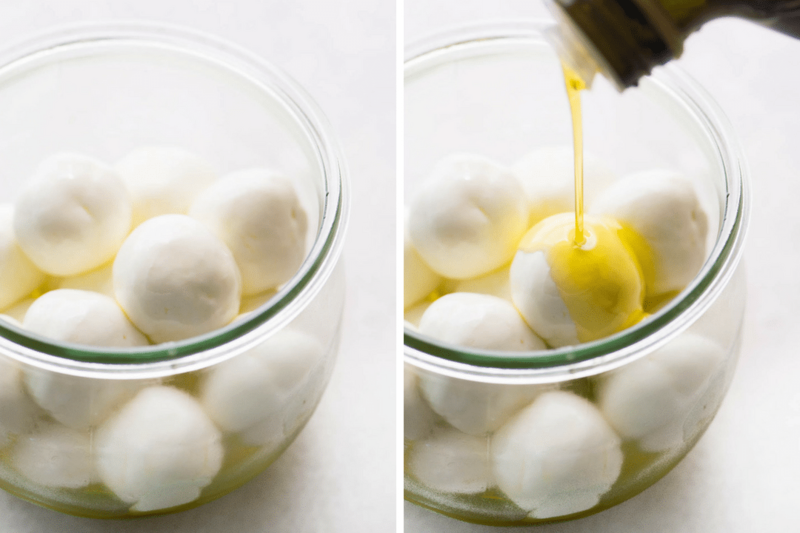 I like to roll it into balls and cover them in olive oil, it’s a convenient and flavorful way to store them and it makes it easy to grab as few or as many as you need. Rolls bits of the cheese into 1 inch balls. I like to lightly oil my hands so the cheese gets nice and smooth. Drop the balls into a clean jar. Once you’ve finished rolling all the cheese, fill the jar with olive oil. This will keep the cheese soft and fresh for a week. You can add aromatics to the oil if you like, I added strips of lemon zest and fresh thyme. When you’re done eating your labneh you can use the oil for cooking or salad dressings, so waste not, want not. At first I was worried that the labneh would disintegrate in the oil, but I was amazed at how it held its shape, even after marinating for days. This is important because you’re going to want to use these balls intact, whether it’s as an appetizer, or in a salad, etc. 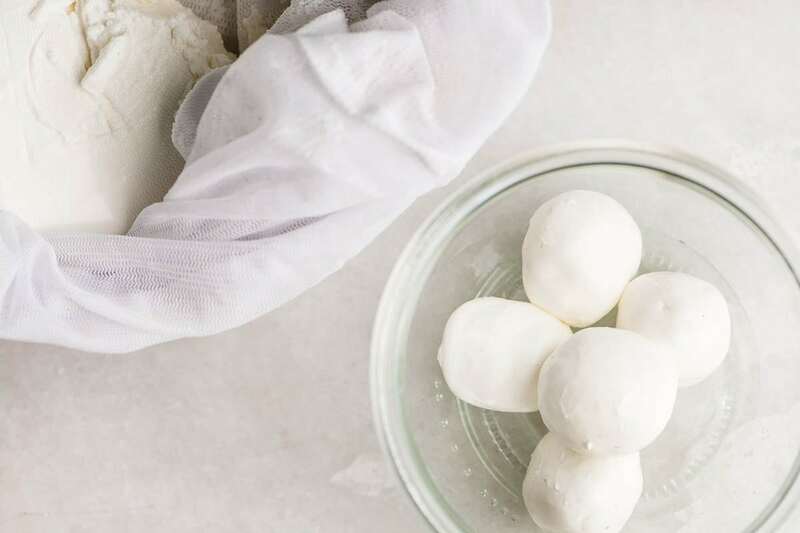 A fun, easy, and healthy homemade labneh, or Middle Eastern yogurt cheese. Use it as an appetizer, in salads, or as a protein rich snack. Set a mesh strainer over a large bowl. The bowl should be deep enough so that there are at least a few inches of space between the bottom of the bowl and the strainer. Line the strainer with a fine mesh nylon straining bag (or 2 layers of cheesecloth.) I like nylon bags instead of cheesecloth because they last forever and are so much easier to clean. They can be rinsed and laundered over and over again. Turn the yogurt out into the lined strainer. Sprinkle with a little salt. Pull the fabric up around the yogurt and twist it tightly so liquid starts dripping into the bowl (you can use a clip if you like to hold it tight.) 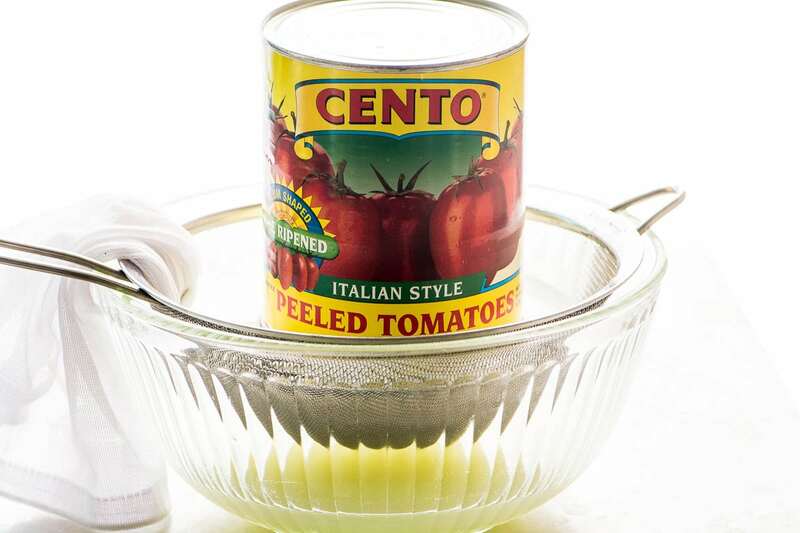 Place a small plate on top, and then weight it down with a brick or heavy can. Set this in the fridge for 24 hours. Check it once or twice to make sure that it's draining. If not, increase the pressure, and make sure the yogurt is sitting above the liquid. The longer you let it drain, the thicker the cheese will become. It can go up to 48 hours, but usually 24 hours is sufficient. Now you have two choices...you can put your labneh in an airtight container and refrigerate it as is, or you can roll it into balls. To roll into balls, roll 1 inch balls between your palms. I like to lightly oil my hands, this seems to make the surface of the cheese nice and smooth and shiny. Put the balls in a clean jar. When all the cheese has been rolled, fill the jar with olive oil, enough to cover all the balls. Will keep, refrigerated, for about a week. This is a fresh cheese, so it won't last as long as regular aged cheese will, so plan to eat it within a week. Make it vegan ~ I haven’t tried this but I assume you can use non dairy yogurt to make labneh. The only issue would be to find a yogurt without any flavors or additives. Make it skinnier ~ use low fat or even fat free yogurt. Make it dip-able ~ if you’d like to use your labneh as a simple dip, like hummus, just drain it for less time. The resulting cheese with be spoonable and delicious. Top with a swirl of great olive oil, a sprinkling of herbs, and dive in with warm pita. I bought a 200 micron mess bag made out of nylon and trader joes’s goat milk yogurt to try this recipe of yours….looks so good. But unfortunately 1/2 of the yogurt went thru the mesh…what am I doing wrong? Putting a weight would have made the yogurt go thru the mesh even more. Should I be using regular yogurt from Trader Joes? Your goat milk yogurt might be thinnner than what I used Mino. Try another type of yogurt if you can, the thicker the better. This is so interesting! Does the resulting cheese taste very much like yoghurt or does the flavour profile change?? I think it really tastes like goat cheese, Brittany. I was amazed that it didn’t ‘read’ simply as thick yogurt. I make yogurt in my instant pot. Do you think I could use the homemade yogurt to make this cheese? Definitely! Just make sure that you drain it well enough. If your yogurt is on the looser side, it will take longer to drain. This is delicious…but my balls never got silky smooth looking like yours. I left the cheese draining 48 hours…do you think it might still be too moist ? I haven’t dropped them in oil yet because I’m afraid they will just stick together. I lightly oiled my hands but they still got quite cheesy. 24 oz of yogurt made 20 balls…does that seem right? help! I was afraid mine would stick together too, but they didn’t. You might try coating yours, like I did in today’s post, Patricia. When you coat them in spices or herbs they won’t be sticky. I think maybe your labneh needed a little bit more time to drain, yogurts are all different and yours may have been wetter, or drained more slowly. You have just made me remember that I used to make this some years ago and sell it on my market stall. Wonderful stuff,has many uses. You are only limited by your imagination. I used to roll the balls in a middle eastern spice (can’t remember which one: maybe cumin) then into a jar with olive oil. Lovely!! 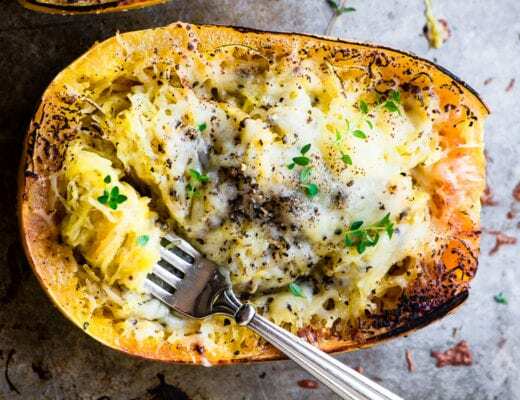 What size nylon bag would you recommend for this recipe? Dying to try it!! I link to an example on Amazon, Jeanette, and the mesh bags tend to be about 9×12 or so. Any size will work as long as you can arrange it over your sieve and it can hold the yogurt. This is new to me, and will try it separately with sheep’s and goat’s milk yogurt that our local dairy plant makes in our area. This is a new territory for me – thank you Sue! I’m dying to hear how it comes out with the sheep’s and goat’s milk yogurt, I think you’ll get some amazing cheese Alexandra. Never realized how easy this is to make. I know what I’m making this weekend! Hi Sue, I’ve also done this with Keifer….can I use Greek yogurt? Yes, you can use Greek yogurt, for sure. This is very exciting for me Sue. My husband and I both love Labneh but can never find it in the stores. I cannot wait to give this a try. Thank you so much! No Sue, after the first straining to separate the grains from the kefir you use the same method you use to separate the cheese from the whey and it takes less than 24 hours. Hi Sue, I make something very similar with my Kefir that I make double straining it, but have not tried rolling it into balls which I will try now and keep in oil and herbs and lemon. Thanks. I think you’ll love the balls, Kathryn, they are so handy for appetizers and salads. Plus they look so pretty in the oil. I’ve recently discovered kefir, so I’ll try this method with that. I’m guessing you would need much longer straining? Easy peasy… all you need is PATIENCE. Yours looks great in olive oil :-) Have a wonderful weekend, Sue!